The Key Benefits of International Trade for UK SMEs – As a business, you’re always trying to find and break new grounds to gain that competitive edge. But, have you considered going global yet? The history of the world as we know it has been shaped by a complex concoction of ideas, events and people. But there has always been a strong, undeniable driving force behind much of the development we’ve seen in the post-industrial revolution era: natural resources. The quest for the very best of everything that our planet has to offer has built, transformed and even destroyed civilisations, and international trade is a vibrant reminder of that fact. Today, no country can afford to sit back and not engage in international trade. Many of Western economic policies stem directly from trade-related reasons and thousands if not tens of thousands of companies in the UK keep the wheel of our international trade turning. But while all this happens, what does international trade mean for you and your business? In the more-connected-than-ever world, you can’t possibly afford to ignore the possibilities that exist around the world. If you’ve been apprehensive about the seemingly complex international trade puzzle, let us break some things down for you. Before that, let’s take stock of where things stand from an SME point of view. Thanks to consistent efforts of successive governments, international trade has seen some promising numbers in the last few years. Although there has been a marked drop in overall exports in the past two years due to puzzling developments and speculations around Brexit, the overall number of SMEs exporting internationally has increased. The latest figures released by the government indicate that the number of SMEs exporting products and services internationally rose in 2017 by 6.6%. At 235,000 and counting, the SMEs trading internationally account nearly for 10% of all SMEs in the UK. It’s probably the most apparent benefit of going global for SMEs. As a business trading internationally, you can easily diversify many of your business operations. This includes the two end-points of business – paying customers and suppliers whom you pay. You can access diverse technologies, market opportunities, natural resources and human resources, and make them all work in your favour. Risk tolerance is a business metric that defines how much of a leeway a business can have against various risks – from market events to uncontrollables like natural calamities. When you start trading globally, your business automatically spreads much of its risks over a wider geographic area. Of course, this comes with additional trading risks, but they usually offset themselves with associated rewards. Essentially, businesses that import/export can tolerate negative events without sustaining much damage, as opposed to domestic businesses that can suffer irreversible damage. For example, an unfortunate event like an earthquake can bring your manufacturing operations and domestic demand to a standstill. But if you export the manufactured goods internationally, you can still move the surplus inventory off your warehouses, maintaining the incomings relatively unscathed. It’s no secret that you can’t have every type of demand in a single market. If you trade only domestically, your operations will always be limited to a certain type of demand. Any fluctuations in those demand forces will have a direct impact on the revenue. Alternatively, when you trade globally, you can add multiple, previously-untapped revenue channels to your operations. This is just an extension of the previous risk tolerance argument we made, but it’s definitely one of the highlights UK SMEs need to think about. The second half of the 20th century was marked by epochal turns. The World War II started a chain of events that was propagated further by the Cold War, followed by the oil-centric upheavals in the Middle East. All these events meant one thing – the money gradually dried up from all international trade that wasn’t related to oil. Lenders were unwilling to deal with foreign suppliers or banks, making letters of credit an irrelevant option for businesses. Today, we are glad to report, this isn’t the case. Even a small business with limited capital can easily have letters of credit issued to the supplier’s bank without any problems. Thanks to the good perception UK businesses have in foreign markets, there are fewer things to worry about today than ever. If you’re exporting goods or services, you can just as easily arrange for flexible finance packages that keep the operations running smoothly. When it comes to trade finance, Commercial Finance Network is an automatic choice for hundreds of UK SMEs. Being an industry-leading whole of market broker, we help UK SMEs access a diverse panel of lenders who bring on board decades of global trade experience. High acceptance rates, customised loan terms and fast approvals are just some of the features that make our trade finance services popular among businesses across the UK. Trading internationally means trading on a bigger and wider canvas. By going global, you can make sure that your business has an edge over domestic competitors. Service provider businesses are among the fastest growing businesses of the 21st century, thanks largely to the internet effect. Given that the UK is one of the most important financial markets of the world, it’s no wonder that UK service providers – especially in the technology, financial and education sectors – have been reaping the rewards of trading internationally. If you run a service business, you can – at relatively lower cost spreads – access and seize foreign markets. Innovations isn’t just a buzz word – it’s the primary catalyst for business growth today. If your business operates in tech, manufacturing or financial sectors, you know this first-hand. Innovation in a far-away market can often have an tearaway effect on your local performance. 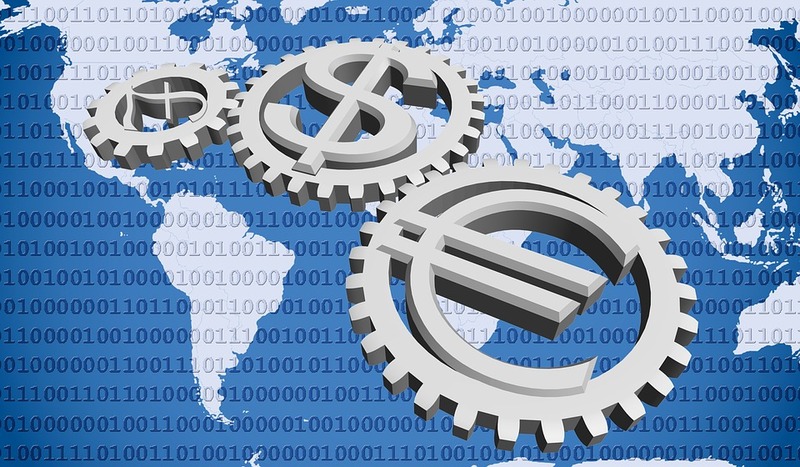 In such times, it pays to be connected to the world at large – something trading internationally lets you do. Whether it’s sourcing better, cheaper equipment from overseas suppliers or exporting goods/services to foreign customers, every well-thought-out international trade move can be a game changer for your business. At Commercial Finance Network, we help UK SMEs realise their global trading goals with robust, flexible and customised trade finance solutions – from affordable import-export finance to universal letters of credit. Let us worry about mediating with foreign banks and suppliers while you focus on your business. To request a quote or talk to our trade finance experts, click here.